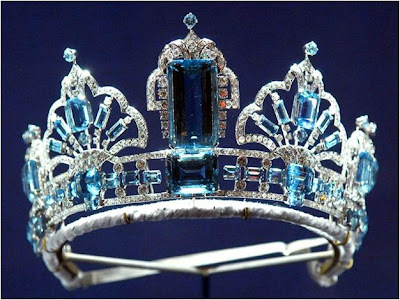 The President and people of Brazil gave the Queen a necklace and earrings of aquamarines and diamonds for her coronation in 1953. In 1958, they added to the set by giving her a bracelet and large brooch to match. 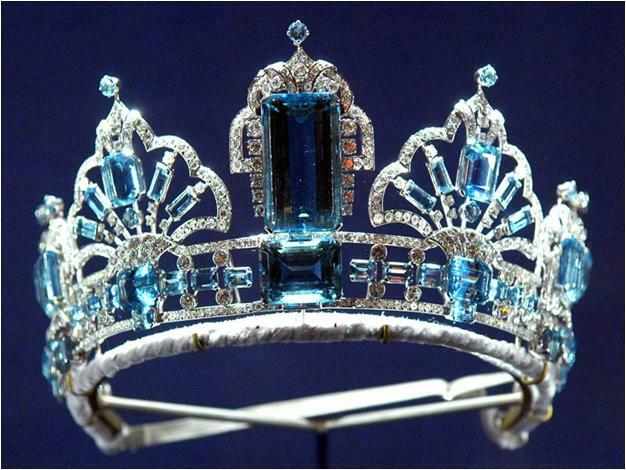 The Queen has also added to the set, commissioning a tiara from Garrard in 1957 which was substantially changed in 1971. The parure is still used for evening events today, and the brooch alone is occasionally worn on its own during the day. Click here to read more at Order of Splendor.